Every photo booth rental we offer comes complete with our 5-Point Guarantee. The risk is on us, not you. We promise that you’ll receive a professional, full featured photo booth, that you and your guests will love or we’ll give you your money back! What does P.L.U.G.D stand for? It’s is a term made up of the first letter of each item that we promise you’ll receive with your photobooth service. Professional photo booth. Your photo booth will include a Canon DSLR camera, ultra flattering beauty ring light (used extensively in fashion photography), and the same lightning fast Dye Sublimation printers used by 1-hour photography labs. Our smudge free images are rated to last 40 years in direct sunlight without fading! Logo custom designed. Our in house design department will work with you to personalize your photos with a custom logo that can include your business logo, the name of your event, date, #hashtag or other information you’d like your guests to remember. Unlimited use. With any package, you and your guests will receive unlimited use of the booth. Everyone can go in and out as many times as they like and they will never be turned away. Digital photos the same day. On the day of your event, our attendant will give you a flash drive with digital copies of EVERY photo (or video) taken in your booth. Guaranteed or your money back. Photo booth companies come and go, many leaving their customers empty handed without options at the last minute. We’ve been in operation since 2009 and are one of Michigan’s fastest growing photo booth companies. We are fully insured for your safety, and financial security. No matter what, we will take care of you, and we promise not to leave you hanging. If you are not completely satisfied, we will make it right or give your money back! Photo booth rentals are a lot like different models of cars. They all serve about the same purpose, but the moment you experience a luxury car you realize they are by no means all the same. You know the one where every other feature doesn’t work and you can only climb in and out on the passenger side? Cigarette boxes and empty Mountain Dew cans down around your feet? You deserve better than that! Our booths are like a sparkling new Caddy fresh off the showroom floor. Fully featured and luxurious, and we dare you to find a photo booth with better picture quality! We weren’t the first to present a digital photo booth, but we’ve been constantly innovating since 2009. We’re one of the fastest growing companies with a double digit fleet of booths, but we’ll never rest on our laurels. We’re committed to providing you with unique photo booths that provide the fastest speed, highest quality photos and are the most user friendly in the industry. Our photo booths are designed and fabricated locally here in Michigan. Completely exclusive, no other company can offer you one of our booths. Each professional photography component was selected and tested to ensure the best possible experience. Our social media sharing kiosk will drive your event viral as guests share to Facebook, Twitter, Text Message, and from email to Instagram. You’ll enjoy the most memorable experience in the Detroit area, including photos with instant printing, HD video, green screen, and step & repeat backdrops. 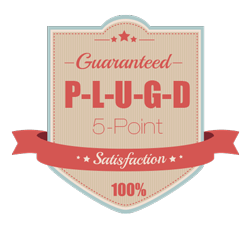 As if the best photo quality, top ratings, and every option you could ever want isn’t enough, we back every rental with our 5-Point satisfaction guarantee. If you aren’t 100% happy with your booth and service we’ll make it right, or give your money back. Our booking process is simple and painless. Here are some tips to help you get started in selecting the right photo booth experience for your event. Do Some Research. It’s easier to find what you want when you know what you’re looking for. If you’re not completely sure what you want, call us at (313) 486-5277 and we’d be happy to talk you through the experience and make suggestions about what might be a good fit for your event. Watch Out For Bait & Switch. Some companies offer unbelievably low prices that gradually get higher as they nickel & dime you for the extras that should have been included from the start. Idle Hours. Idle time is a feature that allows you to have the booth set up but not in operation. It can save you a ton of cash in wasted hours of booth use, if you have an early event setup time. Try It In Person. If you’re unsure of the style of photo booth, or exact features you’d like for your event, we welcome you to stop by and try things out in person. See Samples. Check out the quality of the photos, and the photo booth itself in person if you’re able. When you’re paying hundreds to thousands of dollars for a service, it’s best to have an idea in advance of what you’ll end up with. We’re excited that you got all the way down here to the bottom of the page. You really know what you’re looking for, and since you read this far and are still intrigued, we’re just might be the right photo booth rental service for you. If you have any additional questions, or would like to check our availability on your date, fill out the form on this page or call us at (313) 486-5277 so we can reserve a photo booth today that’s guaranteed to make your event more memorable.